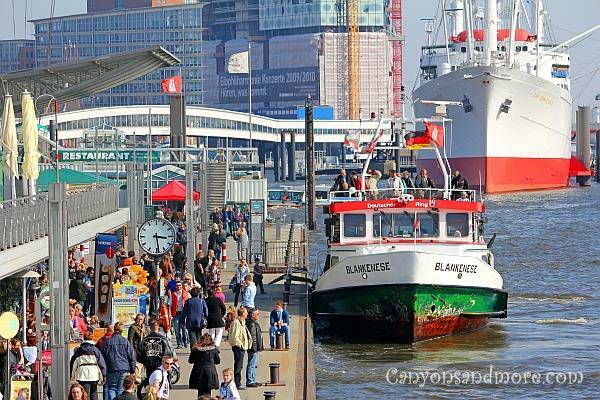 Hamburg is the second largest city in Germany, is Germany’s largest sea harbour and is located on the Elbe River. The city has a charming maritime flair and attracts tourists from all over the world. You can really spend at least a week in this city. There are many possibilities and activities to fill your time. One famous attraction is the Hamburger Fish Market if you would like to try the freshest catch of the day. 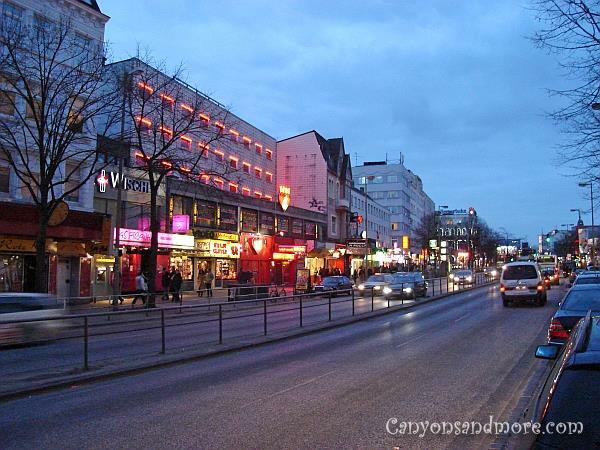 The “Reeperbahn” (the red light distric near the harbour in St. Pauli) attracts also a great amount of tourists yearly. You can spend a day shopping in the downtown area of the city or go to see the musicals “The Lion King” or “Rocky” at the musical halls. There are also around 72 museums in the city if you want to experience some of the city’s culture. Water dominates the city. Not only is it located on the the Elbe River, but also within Hamburg you will also find two artificial lakes and many water canals in the shopping districts as well which make the city unique. Many parks can be found in Hamburg as well as the Hagenbeck Zoo which give this city a feeling of natural beauty as well. At the “Landungsbrücken” in the image above, you can observe the ships docked, visit a museum ship or take a ride on one of the steam boats offering trips to the tourists around the harbour area. It is a popular attraction of the city and can be quite full on sunny days. If you have a ticket for the Disney musical “Der König der Löwen or “The Lion King” you can also hop on one of the designated boats that you over to the other side where the musical hall can be found. From there you can get a great view of the harbour from a distance. 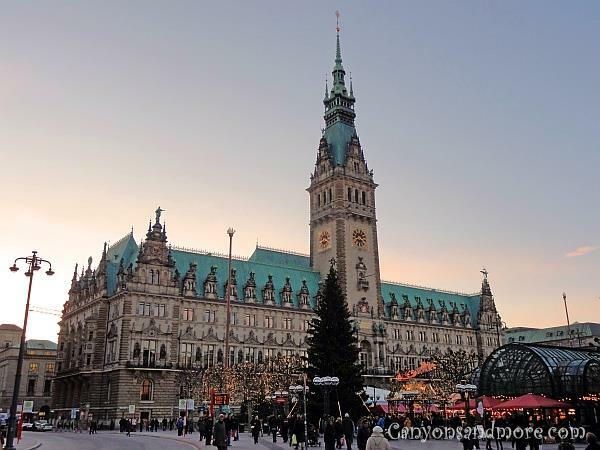 At the Rathausplatz you will see the large city hall building. It majestically overlooks “Binnenalster” (the inner Alster Lake). You can also go to the court yard of the building to admire the architectural details. Close the Hamburg harbor, you will see the “Speicherstadt” - a row of storage buildings where earlier shipping companies used to store their goods and supplies. Nowadays, many tourist attractions are situated in the buildings such as the “Hamburger Dungeon” (a spooky attraction), a coffee roasting company, a huge miniature train attraction and much more. 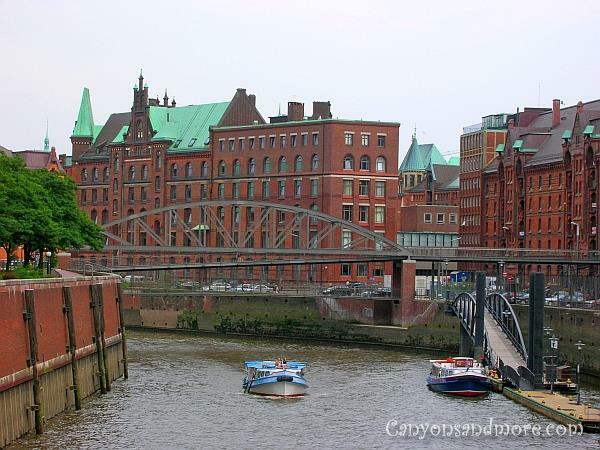 The “Speicherstadt” is also as of 2015, a world heritage site. Hamburg has its own little “beach” called the Elbstrand (the Elbe Beach) where the residents of the city like to retreat to enjoy a warm summer’s day. 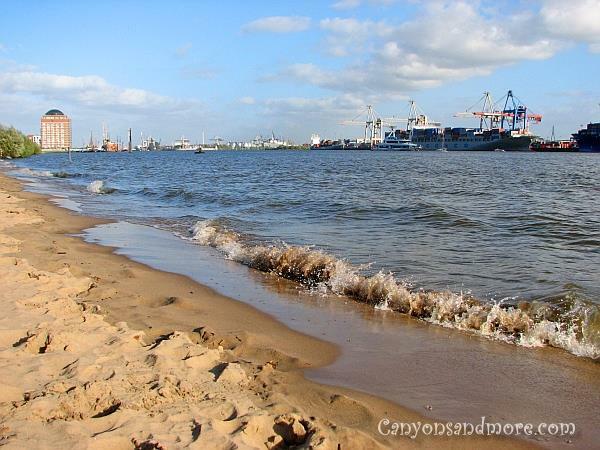 The beach is located on the Elbe river and in the distance you can see the ships at the harbour of the city. 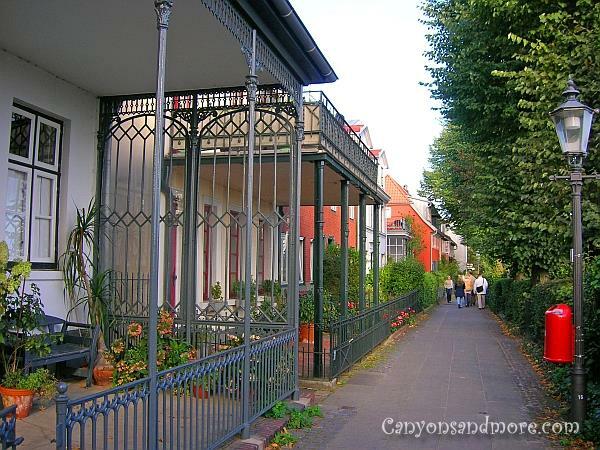 Along the “Elbstrand” beach in Hamburg is an attractive residential area with historical charming and romantic looking homes which is worth seeing while there. It is such a tourist attraction, that there are signs politely asking the visitors not to stare into the windows. 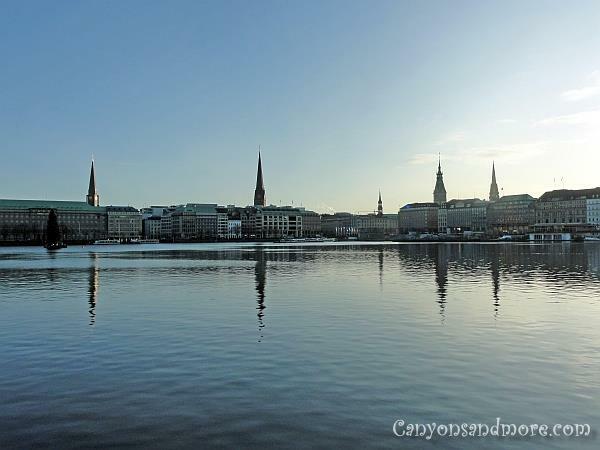 City attractions include the “Binnenalster” or the Inner Alster Lake and “Aussenalster” or the Outer Alster Lake. These are artificial lakes located in the heart of Hamburg and a way to get enjoy a bit of nature while in the city. Where as the Binnenalster is more central in the city between the shopping zones, the Aussenalster is the lake with the beautiful scenery and surrounded by parks. You can walk completely around the Binnenalster (shown in the image) except for a couple of areas where you are forced to walk along the street over a bridge to cross a canal area. During the year, annual events take place at the Binnenalster such as boat races, the “Alstervergnügen” (a huge fair) and other highlights such as concerts and Christmas markets. This is a beautiful church called the St. Michaelis Kirche is not too far from the harbour. 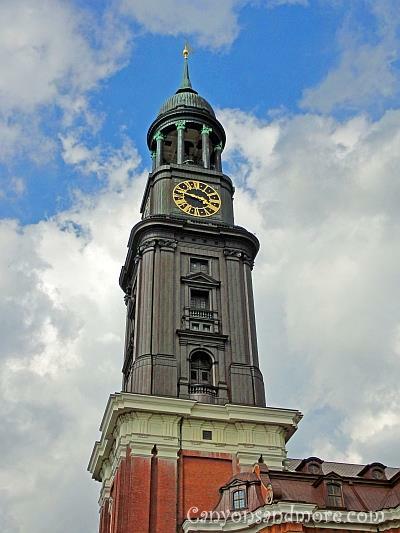 Visitors can go into and see the church interior for a fee or pay a fee and choose to climb up the stairs of the tower to get a remarkable view of Hamburg from above. This is the view over Hamburg from the St. Michaelis Church. 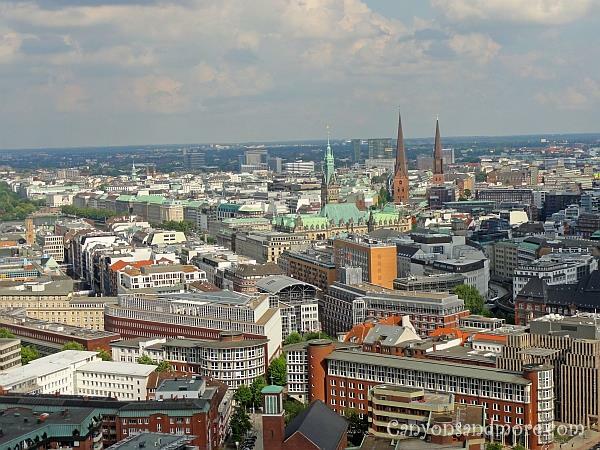 For a small fee you can climb the 132 meter tower (453 steps) up the tower to get a fantastic 360° view of the city of Hamburg and its harbour at the Elbe River. There is also an elevator for those who are not able to climb the steps but there is a longer waiting time at the bottom of the elevator. If you look at the center of the image, you can see the green spire and roof of the impressive city hall of Hamburg. This red light district of Hamburg-St. Pauli called the “Reeperbahn” is probably the most famous of Germany. 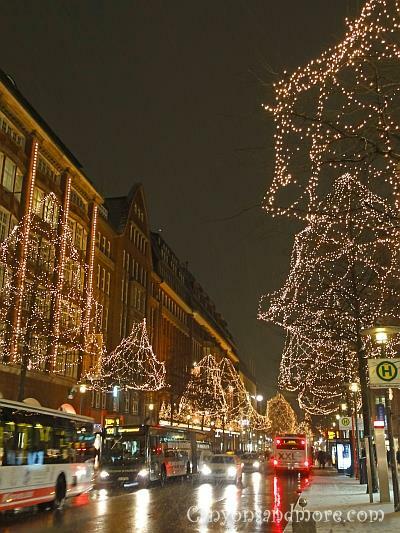 If you like shopping, the Mönkebergstrasse and the Spitalstrasse are like the high streets of Hamburg and are great areas to find many shops and stores. Both are close to the main train station if you come by train and also can be reach easily by public transportation at several locations along the streets. If you walk on either of these streets from the train station in the direction of the gorgeous city hall building you will also find the four story shopping mall called the Europa Passage. but Hamburg is not limited to just these areas alone. The city is full of attractive shopping areas such as exclusive arcade shops along water canals are just waiting to be discovered. The image is of the Mönkebergstrasse at Christmas time during snowy weather. The whole street is well lit up with festive lights.